All good. Correct sizes, timely delivery and all in good order. 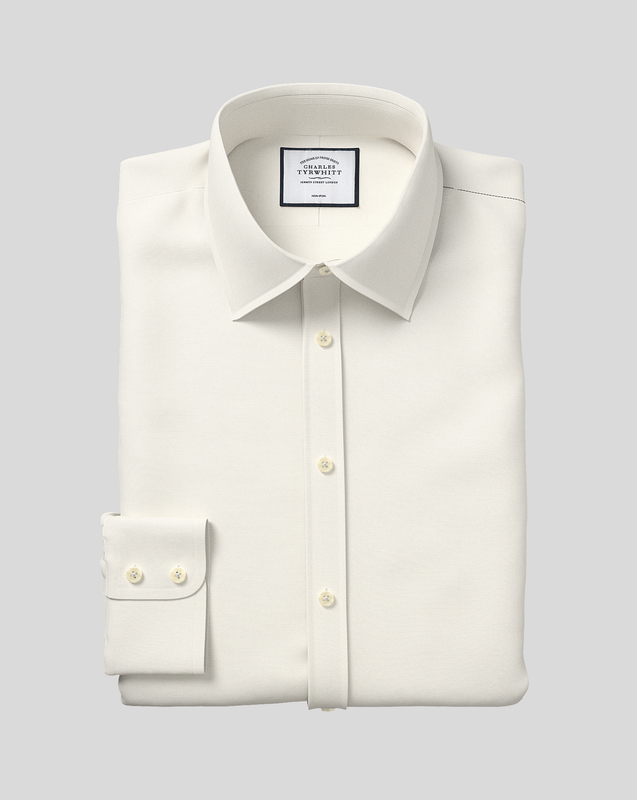 Response from Charles Tyrwhitt: It looks as though this particular shirt was temporarily out of stock when your order was placed, which unfortunately led to a very slight delay in it arriving. Thank you for your patience in regards to this and I hope you have been pleased with all your shirts now they are complete. Should this item still be outstanding, however, please do let us know so we can investigate further. I had trouble finding a cream colour in a shirt in Australia. Your website provided an answer to my search. The shirt is easy care non iron and is well made.